Lugano, 22nd June 2017 – From 14th-17th September 2017, Lugano Exhibition Centre will be hosting the second edition of WOPART – Work on Paper Fair, an international fair focusing on artworks made of paper, directed by Luigi Belluzzi. 62 galleries from 11 countries – chosen by a scientific committee chaired by Giandomenico Di Marzio, a journalist, critic and contemporary art curator, and Paolo Manazza, a painter and journalist specializing in art economics – will offer an extensive overview of works made exclusively on paper: everything from ancient drawings and modern prints to artists’ books, artistic photography, watercolors, Oriental prints and paper works by contemporary artists, providing a cross-section of different techniques, languages and periods in history. Following the success of the first edition, this important event is back again to provide a deeper understanding of artworks on paper and the market for them, a niche that is globally attracting more and more attention from experts, collectors and fans, due to both their accessible price range (for example, over 60% of contemporary drawings sold in 2016 cost less than $5000, meaning that works by well-known artists are available at much lower prices than usual) and the number of works on sale, due to the growing popularity of photography and appreciation in the value of art prints. WOPART also includes a wide range of side events, both inside and outside the fair pavilions, to provide even more means and opportunities to find out about the various aspects of this sector and its most cutting-edge topics and issues. 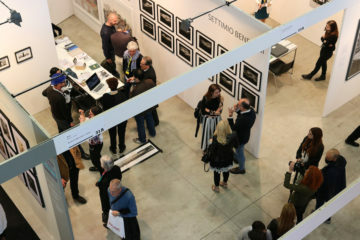 The schedule of events being hosted inside Lugano Exhibition Centre notably includes the WOPART/TALKS: conversations, interviews and special lectures by artists, art historians and critics, consultants and specialists in art investments – featuring the artists Paolo Canevari, Emilio Isgrò, Joseph Kosuth, the art collectors Patrizia Sandretto Re Rebaudengo and Massimo Prelz, and scholars like the neuroscientist Edoardo Boncinelli and philosopher Lina Bertola, – providing the chance for leading international exponents from the art world and market to talk about their experiences, personal backgrounds and studies. Once again, this year the WOPART/TALKS will be streamed on the event’s website (www.wopart.eu). The fair’s exhibition project will also include four focus exhibitions, again hosted inside the fair’s main pavilions: a photography exhibition called “1930 – 1970: la fotografia d’avanguardia in Italia della collezione Prelz”, curated by Walter Guadagnini and CAMERA, the Italian Photography Centre in Turin; an exhibition entitled “I mille volti del kabuki”, presenting a collection of ukiyo-e prints from the Museum of Cultures in Lugano; an exhibition of paper works and artists’ books from the collections belonging to Luigi Pecci Contemporary Art Centre in Prato; and, lastly, an installation by the artist Emilio Isgrò (famous for his erasure technique). Three installations by Container Lab on display in via Nassa, Lugano, will provide a foretaste of the 2017 edition of WOPART during the weeks leading up to the event. WOPART is organized by Lobo Swiss, under the patronage of the City of Lugano and Rimimi Design Biennial, CAMERA – Italian Photography Centre in Turin, SBF+ Association of Swiss Professional Photographers and Photo-designers. Sponsors of WOPART 2017: ARGOS Wealth Administration, Etihad Regional, The View Lugano. Official Wine: Consorzio Franciacorta. Main media partner: La Lettura-Corriere della Sera. Other media partners: ArtsLife, Ticino Welcome, Corriere del Ticino, Giornale del Popolo, Tele Ticino, Radio 3i, Ticino News, AI Magazine e Frattura Scomposta. Technical sponsors: Lugano Airport, BIG Broker Insurance Group – Ciaccio Arte, Simonetta Rota, Colombo Experience, Petra Peter. 10 A.M. ART, Milan; ABC Arte, Genoa; AICA | Andrea Ingenito Contemporary Art, Milan/Naples/Capri; AION, Lugano; ApalazzoGallery, Brescia; Apart, Misinto; Art Bärtschi & Cie, Geneva; Artem – Reich, Stalden; Artrust, Melano; Atipografia, Misinto; Bag Gallery, Parma/Pesaro; Buchmann Galerie, Lugano; Carte Scoperte, Milan; Chambers Fine Art, New York; Colophonarte, Belluno; Creatini e Landriani, Sestri Levante; De Primi Fine Art, Lugano; Die Mauer, Prato; [dip] Contemporary Art, Lugano; Exclusive Luxury Group, Lugano; Fine Art Consultancy, London / Tokyo; Five Gallery, Lugano; Forni, Bologna; Galerie Andrea Caratsch, St. Moritz; Galerie Carzaniga, Basel; Galleria Allegra Ravizza, Lugano; Galleria Bianconi, Milan; Galleria Blanchaert, Milan; Galleria Continua, San Gimignano/Beijing/Les Moulins/Habana; Galleria del Laocoonte, Rome; Galleria Immaginaria, Florence; Galleria SpazioFarini6, Milan; Galleria Stefano Forni, Bologna; Grossetti Arte, Milan; Heillandi Gallery, Lugano; Il Castello Gallery, Milan; Imago Gallery, Lugano; Karma International, Zurich; L.C. 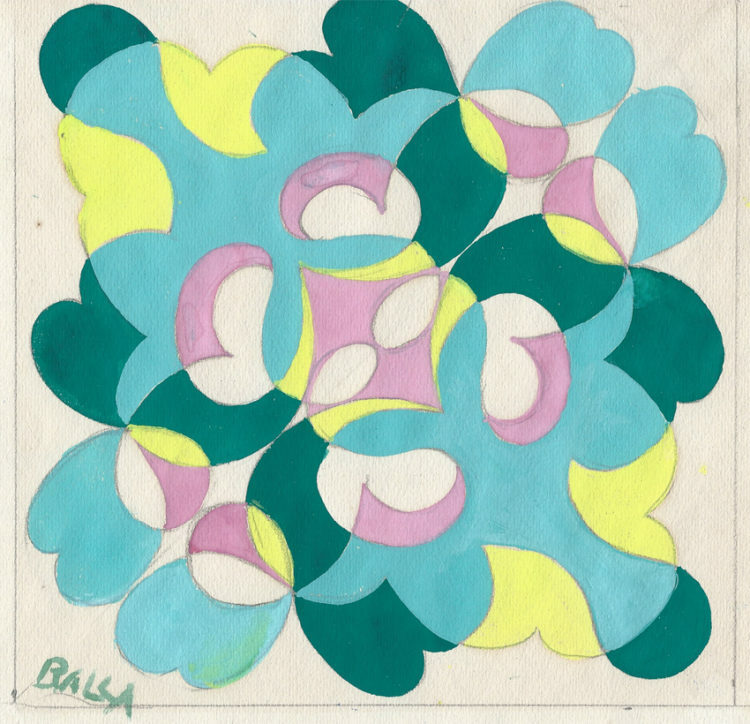 Gallery, Ibiza; Laura Bulian Gallery, Milan; Lia Rumma, Naples/Milan; MAC – Mazzuchelli Art Consulting, Miami Beach; Mark Borghi Fine Art, New York; MLB Maria Livia Brunelli, Ferrara; Monica De Cardenas, Lugano/Zuoz/Milan; Moyshen The Gallery, San Miguel de Allande; Natoli & Mascarenhas, Monaco; NdF Gallery, Freibourg; Osart Gallery, Milan; Pandora OM, New York; Pigment Gallery, Barcelona; Raffaella De Chirico Galleria d’Arte, Turin; Richard Saltoun, London; Salamon & C., Milan; Silvano Lodi IntArt Gallery, Lugano; Sincresis, Empoli; Spazio Testoni, Bologna; Studio D’arte Campaiola, Rome; Suite 59, Amsterdam; Tag The Art Gallery, Lugano; vitArt modern and contemporary art, Lugano; W. Apolloni, Rome. Interview with Patrizia Sandretto Re Rebaudengo, President of the Sandretto Re Rebaudengo Foundation. Wopart works very closely with the City of Lugano to promote the city and its art, a sector in which the city itself, in partnership with LAC and other enterprises, is investing plenty of resources and energy. The Swiss-Italian Art Museum is putting on an extensive monographic exhibition about Wolfgang Laib, featuring installations, sculptures and drawings. This German artist uses natural materials to create his works: pollen, rice, lacquer, wax, milk. The exhibition provides an overview of Laib’s creative process, now considered to be one of the most innovative artists of the last thirty years. Lugano Canton Library has an extensive collection of ancient books, mainly coming from the abolition of convents in our Canton around the mid-19th century. There are plenty of 18th century books describing the interests of the various Orders in subjects not always strictly of a religious nature. The Somascan Fathers collection is a particularly interesting collection, further embellished primarily by the notable contribution of two brothers from Lugano, Giampietro and Giambattista Riva, who were close friends with mean of letters and writers of the calibre of Muratori, Orsi and Manfredi, i.e. men who made a real impact on Italian culture in that century. The libraries of the abolished convents provide a startling clear picture of the general situation, which this exhibition attempts to explore through a careful selection of valuable publications, unique editions, in many cases illustrated and divided into theme sections: Italian literature, theatre, encomiastic collections and science. In a nutshell, the perfect portrait of the century in question through the pages of rare books. The Bounty KillArt Let’s dance! REAL will be a chance for bookworms to find out about and buy books published by independent bookshops and self-publishers. REAL will last an entire day and feature talks, book-signings, exhibitions. The final, detailed schedule of events and exhibitions will be posted on the website www.wopart.eu on 15thJuly. Lugano, 22 giugno 2017 – Dal 14 al 17 settembre 2017 il Centro Esposizioni Lugano ospita la seconda edizione di WOPART – Work on Paper Fair, la fiera internazionale interamente dedicata alle opere d’arte su carta, Diretta da Luigi Belluzzi. Dopo il successo della prima edizione, torna quindi un appuntamento importante per approfondire la conoscenza e il mercato delle opere d’arte su carta, nicchia che sta conquistando a livello globale un sempre maggior interesse da parte di addetti ai lavori, collezionisti e appassionati, per la relativa accessibilità dei prezzi (per esempio, nel 2016, solo per il contemporaneo più del 60% dei disegni venduti aveva un costo sotto i 5.000 $, portando sul mercato opere di artisti noti a una soglia molto più bassa delle loro normali quotazioni) e per l’ampiezza dell’offerta, legata alla crescente popolarità del medium della fotografia e alla rivalutazione della stampa d’arte. E proprio per dare strumenti e occasioni di approfondimento sul settore nelle sue varie sfaccettature e sui temi di maggiore attualità, WOPART offre un ricco programma di eventi collaterali, dentro e fuori dai padiglioni fieristici. Nel calendario degli appuntamenti ospitati all’interno del Centro Esposizioni Lugano si segnalano i WOPART/TALK: conversazioni, interviste e lectio magistralis con artisti, critici e storici dell’arte, consulenti e specialisti di investimenti in arte – dagli artisti Paolo Canevari, Emilio Isgrò, Joseph Kosuth, ai collezionisti Patrizia Sandretto Re Rebaudengo e Massimo Prelz, agli studiosi come il neuroscienzato Edoardo Boncinelli e la filosofa Lina Bertola – per conoscere dalla viva voce dei protagonisti internazionali del mondo e del mercato dell’arte le loro esperienze e i loro percorsi e i loro studi. Anche quest’anno i WOPART/TALK saranno trasmessi in streaming sul sito della manifestazione (www.wopart.eu). Integrano il progetto espositivo della fiera quattro focus espositivi, sempre all’interno dei padiglioni fieristici: la mostra fotografica 1930 – 1970: la fotografia d’avanguardia in Italia della collezione Prelz, a cura di Walter Guadagnini e di CAMERA, Centro Italiano per la Fotografia di Torino; la mostra I mille volti del kabuki, che presenta una raccolta di stampe ukiyo-e provenienti dal Museo delle Culture di Lugano; una mostra di opere su carta e libri d’artista, provenienti dalle collezioni del Centro per l’Arte Contemporanea Luigi Pecci di Prato; e infine un’installazione dell’artista della cancellatura, Emilio Isgrò. Nelle settimane precedenti la fiera, in via Nassa a Lugano, tre installazioni di Container Lab anticiperanno l’edizione 2017 di WOPART. 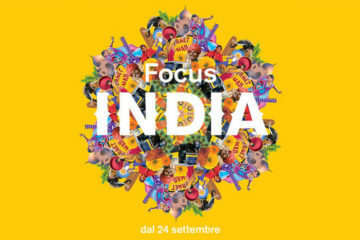 WOPART è organizzata da Lobo Swiss, col patrocinio della Città di Lugano e di Biennale del Disegno di Rimini, CAMERA – Centro Italiano per la Fotografia di Torino, SBF+ Associazione dei fotografi professionisti e fotodesigner svizzeri e Visarte. Sponsor di WOPART 2017 sono: ARGOS Wealth Administration, Etihad Regional, The View Lugano. Official Wine: Consorzio Franciacorta. Main media partner: La Lettura-Corriere della Sera. Media partner: ArtsLife, Ticino Welcome, Corriere del Ticino, Giornale del Popolo, Tele Ticino, Radio 3i, Ticino News, AI Magazine e Frattura Scomposta. Sponsor Tecnici: Lugano Airport, BIG Broker Insurance Group – Ciaccio Arte, Simonetta Rota, Colombo Experience, Petra Peter.10 A.M. ART, Milano; ABC Arte, Genova; AICA | Andrea Ingenito Contemporary Art, Milano/Napoli/Capri; AION, Lugano; ApalazzoGallery, Brescia; Apart, Misinto; Art Bärtschi & Cie, Ginevra; Artem – Reich, Stalden; Artrust, Melano; Atipografia, Misinto; Bag Gallery, Parma/Pesaro; Buchmann Galerie, Lugano; Carte Scoperte, Milano; Chambers Fine Art, New York; Colophonarte, Belluno; Creatini e Landriani, Sestri Levante; De Primi Fine Art, Lugano; Die Mauer, Prato; [dip] Contemporary Art, Lugano; Exclusive Luxury Group, Lugano; Fine Art Consultancy, London / Tokyo; Five Gallery, Lugano; Forni, Bologna; Galerie Andrea Caratsch, St. Moritz; Galerie Carzaniga, Basel; Galleria Allegra Ravizza, Lugano; Galleria Bianconi, Milano; Galleria Blanchaert, Milano; Galleria Continua, San Gimignano/Beijing/Les Moulins/Habana; Galleria del Laocoonte, Roma; Galleria Immaginaria, Firenze; Galleria SpazioFarini6, Milano; Galleria Stefano Forni, Bologna; Grossetti Arte, Milano; Heillandi Gallery, Lugano; Il Castello Gallery, Milano; Imago Gallery, Lugano; Karma International, Zurigo; L.C. Gallery, Ibiza; Laura Bulian Gallery, Milano; Lia Rumma, Napoli/Milano; MAC – Mazzuchelli Art Consulting, Miami Beach; Mark Borghi Fine Art, New York; MLB Maria Livia Brunelli, Ferrara; Monica De Cardenas, Lugano/Zuoz/Milano; Moyshen The Gallery, San Miguel de Allande; Natoli & Mascarenhas, Principato di Monaco; NdF Gallery, Freibourg; Osart Gallery, Milano; Pandora OM, New York; Pigment Gallery, Barcellona; Raffaella De Chirico Galleria d’Arte, Torino; Richard Saltoun, London; Salamon & C., Milano; Silvano Lodi IntArt Gallery, Lugano; Sincresis, Empoli; Spazio Testoni, Bologna; Studio D’arte Campaiola, Roma; Suite 59, Amsterdam; Tag The Art Gallery, Lugano; vitArt modern and contemporary art, Lugano; W. Apolloni, Roma. Intervista con Patrizia Sandretto Re Rebaudengo, Presidente Fondazione Sandretto Re Rebaudengo. Works on Paper, dal Disegno antico al Moderno, dal Contemporaneo alla Fotografia: Investire per passione, tendenze ed evoluzione di un mercato in crescita. Wopart sviluppa con la Città di Lugano una forte sinergia per la promozione della città e del comparto Arte, segmento sul quale la Città stessa con il LAC e altre realtà sta investendo risorse ed energie. Il Museo d’arte della Svizzera italiana propone un’ampia esposizione monografica di Wolfgang Laib comprendente istallazioni, sculture e disegni. L’artista tedesco utilizza materiali naturali per la realizzazione delle sue opere: polline, riso, lacca, cera, latte. La mostra offre una sintesi del percorso creativo di Laib, considerato oggi uno degli artisti più innovativi degli ultimi trent’anni. La Biblioteca cantonale di Lugano possiede un fondo cospicuo di libri antichi, provenienti soprattutto dalle soppressioni conventuali avvenute nel nostro Cantone verso la metà dell’Ottocento. Numerosissime le settecentine, che documentano gli interessi dei vari Ordini per argomenti non sempre strettamente connessi con quello religioso. Particolarmente significativa la raccolta dei padri Somaschi, arricchitasi grazie soprattutto all’impulso dei fratelli luganesi Giampietro e Giambattista Riva, capaci di intrecciare stretti rapporti di amicizia con letterati e scrittori, come il Muratori, l’Orsi, il Manfredi, vale a dire uomini che seppero imprimere una svolta alla cultura italiana del secolo. Le biblioteche dei conventi soppressi permettono quindi di restituire un quadro d’assieme, per molti riguardi eccezionale, che la mostra si sforza di esplorare proponendo una scelta di volumi preziosi, edizioni uniche, spesso illustrate, distribuiti in percorsi tematici: la letteratura italiana, il teatro, le raccolte encomiastiche, la scienza. 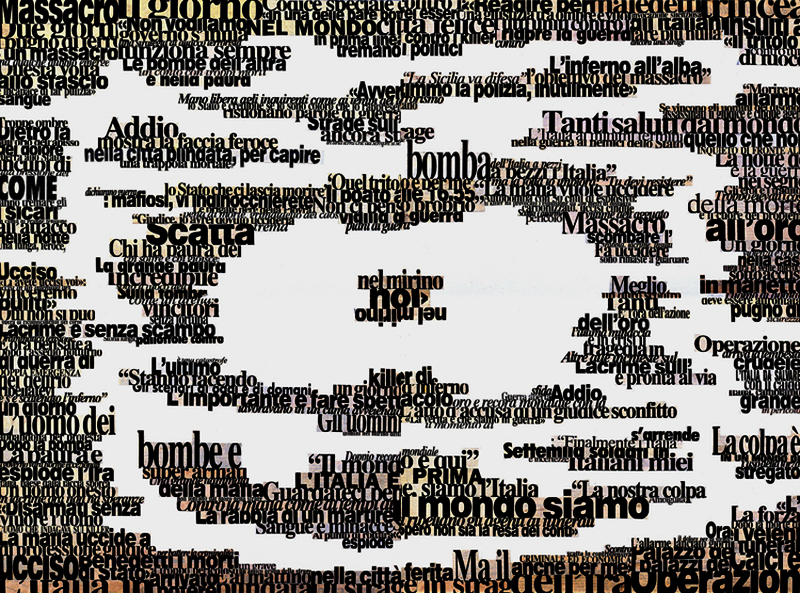 Un’immersione nel secolo, insomma, attraverso le pagine di libri rari. REAL sarà un’occasione per chi ama i libri di conoscere e acquistare pubblicazioni di case editrici indipendenti e self publishing. REAL durerà un giorno, con talks, book-signings, mostre. Sul sito www.wopart.eu dal 15 luglio ci sarà il programma definitivo e dettagliato degli eventi e delle mostre.